While a return to the pre-roe days of back-alley abortions seems inconceivable--even in the face of so many new state laws restricting access to abortion--there is concern among pro-choice advocates that in places like North Dakota, where the nearest abortion clinic could be hundreds of miles away, women might be driven to take unnecessary risks. Those in the abortion-provider community say they worry that women in rural areas might try to purchase pregnancy-terminating medication on the Internet without a doctor's supervision. Amplifying this fear is the fact that the generation of doctors who stepped up to perform legal abortions after Roe have retired or died without a robust new class of physicians to take their place. Efforts are under way at many obstetrics-gynecology and family-practice residency programs to offer abortion training to more doctors, but the specter of protests and unwanted attention remains. "It's a vicious cycle," says Eggleston of Red River. "If more of us were doing it, there would be less stigma." The smaller number of doctors willing to perform abortions has likely contributed to a fairly steady drop in the overall abortion rate, from about 30 per 1,000 women ages 15 to 44 in 1981 to about 20 per 1,000 in 2008, according to Guttmacher. Widespread access to birth control, which the pro-choice movement strongly supports; changing attitudes about family and fetuses; and state regulations are also cited as reasons. In theory, a lower rate of abortion might be something for both sides of the abortion debate to share credit for and even celebrate. But it also illustrates the ultimate challenge for pro-choice advocates. Their most pressing goal, 40 years after Roe, is to widen access to a procedure most Americans believe should be restricted--and no one wants to ever need. 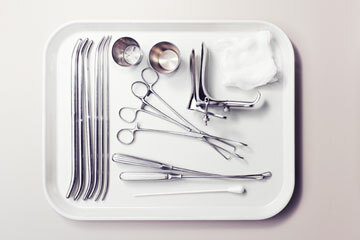 The original version of this story equated late term abortion with "partial birth abortion," the latter of which is illegal in the U.S. Abortions in the second and third trimester of pregnancy are performed using other procedures.